FOREIGN OFFICE: BLAIR’S LINKS TO RWANDAN PRESIDENT KAGAME MUST REMAIN SECRET. Tony Blair’s relationship with the Rwandan regime and its president, Paul Kagame, must remain secret because Blair is a “former prime minister,” according to the Times, after the Foreign Office rejected its Freedom of Information request. The UK government refused to release information about Blair’s involvement with Rwanda and his Africa Governance Initiative charity when probed by Times journalists. The Foreign Office, however, decided to withhold the disclosure of communications and sensitive commercial information to avoid an impact on Britain’s international relations. Kagame, a former warlord and Tutsi who led the forces that ended the 1994 genocide, became president in 2000. 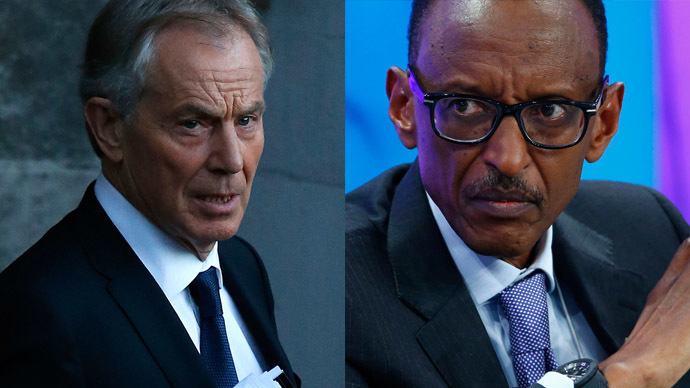 Blair’s and Kagame’s relationship has been under increasing scrutiny following harsh criticism of the Rwandan regime. Amnesty International has accused Kagame of human rights abuses, including unlawful detentions, restricting freedom of expression and jailing opposition politicians and journalists. A UN report accused his forces of war crimes, including possible genocide, in the east of the Democratic Republic of Congo. In 2010, Blair told the Guardian, “I’m a believer in and a supporter of Paul Kagame. I don’t ignore all those criticisms, having said that. But I do think you’ve got to recognize that Rwanda is an immensely special case because of the genocide ». “Secondly, you can’t argue with the fact that Rwanda has gone on a remarkable path of development. Every time I visit Kigali and the surrounding areas you can just see the changes being made in the country.” The former PM’s office insisted that Blair, who has earned millions in consultation and representation roles across the globe since leaving office, has no commercial interests in Rwanda. He also asked Blair to disclose information about how many AGI representatives work in Kigali, Rwanda’s capital, and to explain his relationship with Kagame.